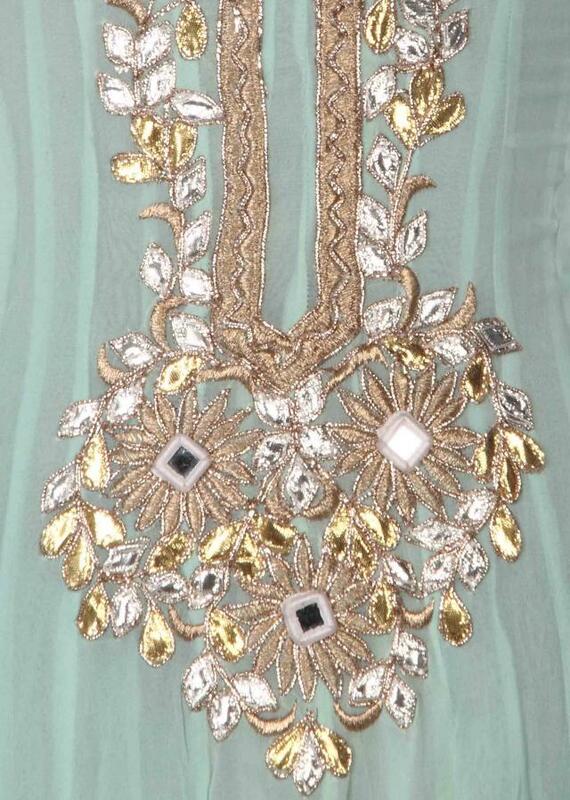 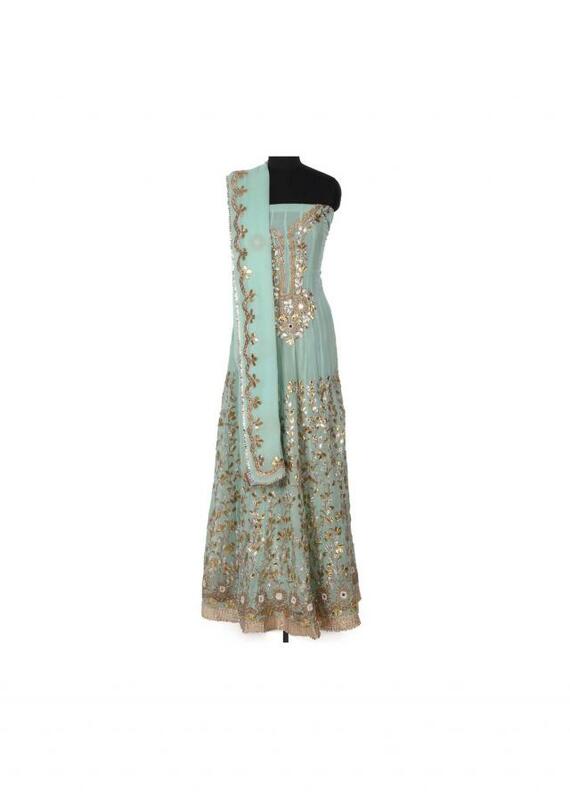 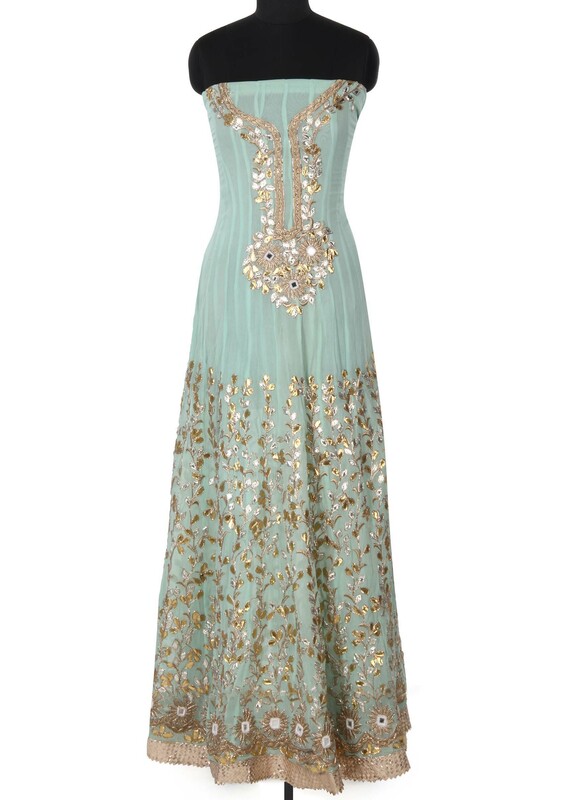 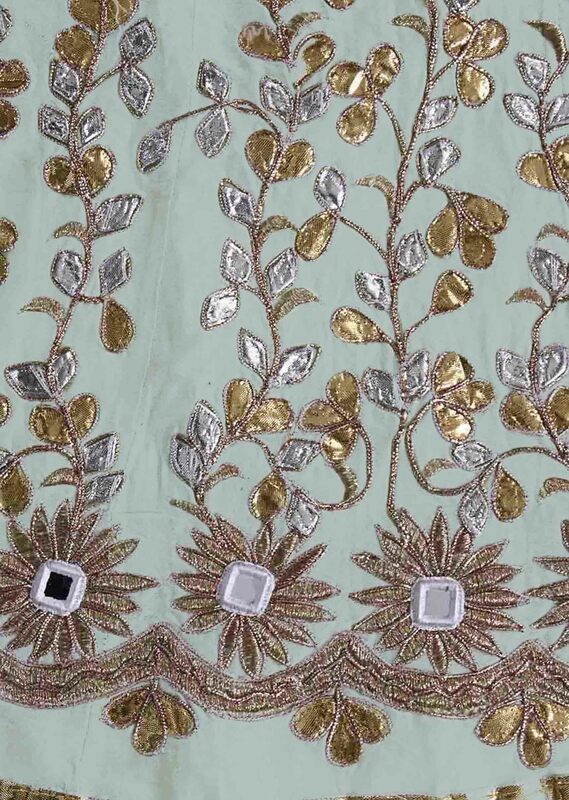 ‌Mint semi stitched anarkali suit featuring in georgette. Its enhanced in gotta patch and mirror embroidery all over. 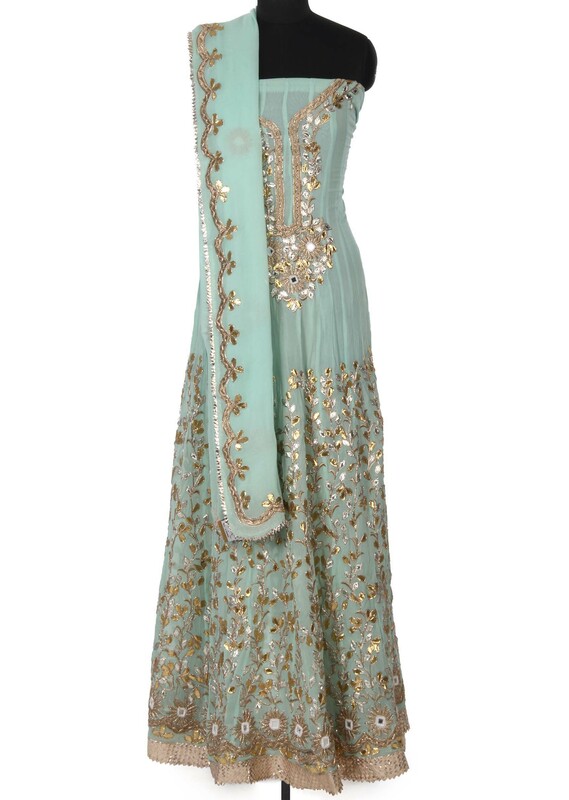 Bottom fabric is in gold and dupatta in georgette.